When I first got into sales, non-sales types would tell me they didn't know how I could do that. Talk to strangers and get them to listen me. Earn their trust so they might buy commercials on the radio or television station I was offering at the moment. Sales, I would tell them, is not for everyone. At the time I believed it. But that's all changed. In today's digital world, everyone is selling. If not a product or an idea, they are selling themselves as a brand through something as simple as a LinkedIn Profile. Understanding that process and how to apply it is critical for anyone interested in earning a living. Sales has to be for everyone, at least those of us who want to succeed. 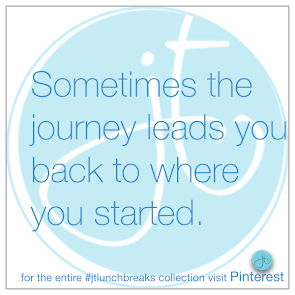 I've been telling clients that since I left the corporate world in 2008. Most don't want to hear it. They have trouble buying into the notion that they need to learn and understand the process of selling to further their careers. They hear sales and they think sleazy sales person a la Alec Baldwin in Glengary Glen Ross. 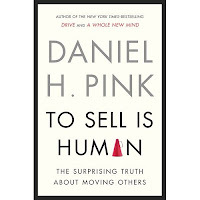 Which is what intrigued me to read To Sell Is Human, The Surprising Truth About Moving Others, by Dan H. Pink, "a fresh look at the art and science of selling." So what is this "fresh look"? Dan Pink takes a subject, unfriendly and scary to so many and makes it approachable and yes, human. He creates a new ABC of sales. Instead of Always Be Closing, he applies the new attributes of Attunement, Buoyancy and Clarity. He offers some great exercises to practice these skills, several of which I have been using in the class in Digital Marketing I teach at NYU, for the explicit purpose of reinforcing how selling must be understood to be a better marketer. 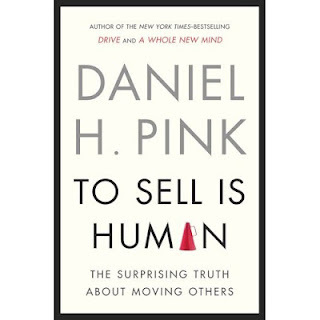 He makes a very good case for what is inherently human in the selling process and how all of us, every day are using these skills to some degree. But is "the surprising truth" surprising? Not to me. As a seasoned sales professional, I could not help noticing that so much of what the author speaks to as new to the sales process in the 21st Century, was what I had learned in my early days in Radio when we had something called the RAB Consultancy Sell. That approach to selling taught us to listen more than speak, to unearth the client's problems before offering solutions, to be an expert resource for their business and ours, to personalize our presentations and be real, to be agile and think on our feet, to earn their trust, and to build relationships with these people. Of course over the years, the trend, certainly in media was not for management to reinforce that approach but to try and get it all on the same cookie cutter PowerPoint deck and to push the sales person to get the deal. At any cost. Something that ties back to big companies being pressured to foster policies driven by keeping the stock price up rather than what is best for the clients. Nevertheless, this is a fresh look and a much needed one especially for those resistant to accepting that selling is a part of the human experience and an art and science worth honing your skills. It is also a worthwhile read for the sales professional and the heads of corporations who may have forgotten the very skills that got them success in the first place. But surprising? Not so much.